I know it’s super hard to know how build your small business website. You want something that looks like AirBnb, but you have a very limited budget. Rather than pay a local company thousands of dollars, one way to get off the ground is to build your own site. 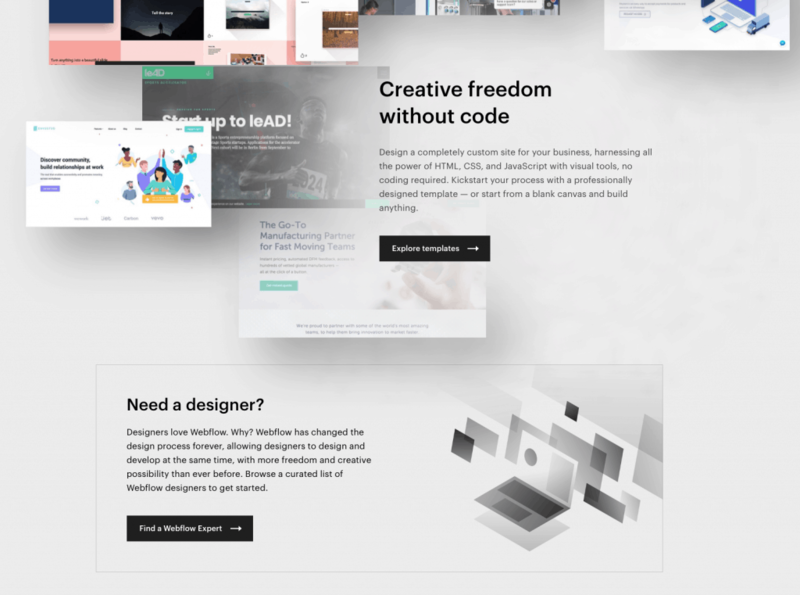 We’ve selected the best website builders for small businesses below that are both easy to understand and build beautiful sites. Ohh – and they don’t cost a whole lot! Let’s dive deep into each of them now! 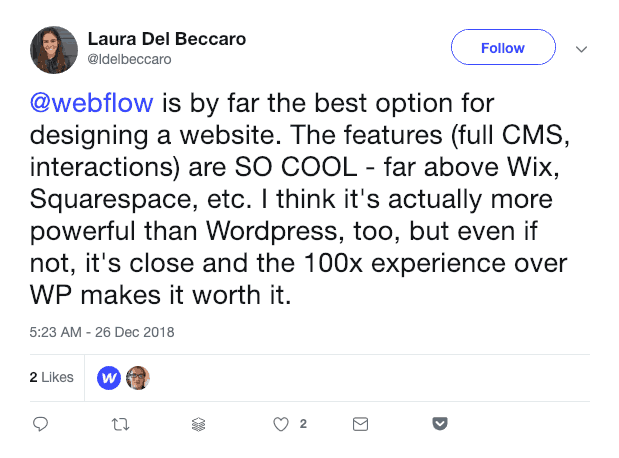 Webflow is the cool kid on the block. It’s a very design-centric website builder that’s approachable for small businesses to start using right away. I think it’s probably the best overall option for smart, somewhat tech-savvy business owners. It’s got the simplicity and guidance of Squarespace with the flexibility and customization like WordPress. I do believe it’s a perfect balance between those two. 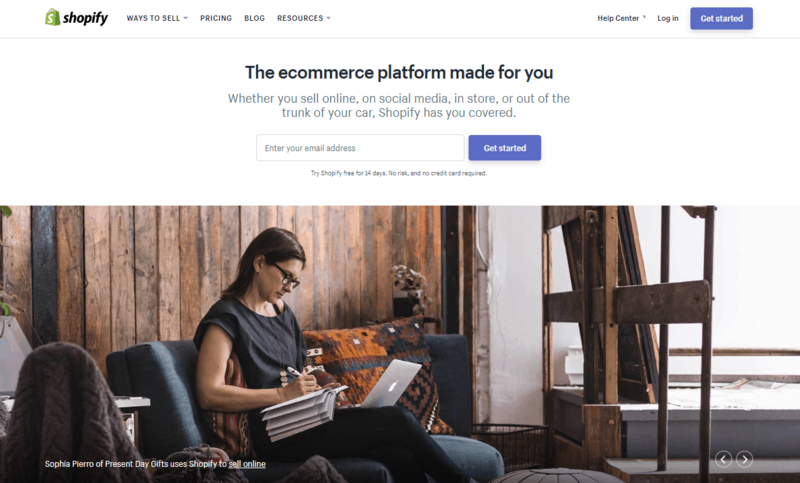 It’s a visual website builder, a CMS, and now in beta, an ecommerce platform. Zapier integration – AKA update site from a spreadsheet! 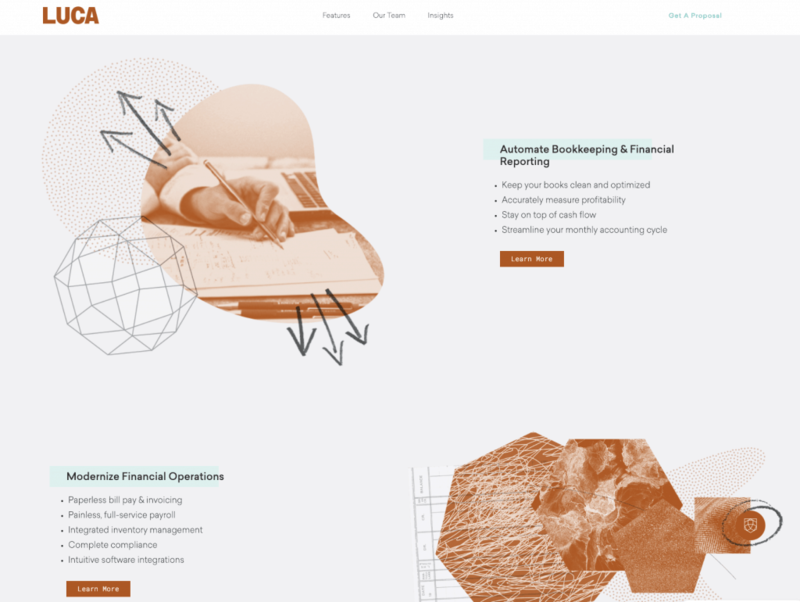 Pretty modern looking – and that’s pretty good for an accounting company! E-commerce stores require a ton of different elements than most other businesses. Because you aren’t trying to get people to come into a physical storefront, you have to make sure that all of your wares are easily accessible online. 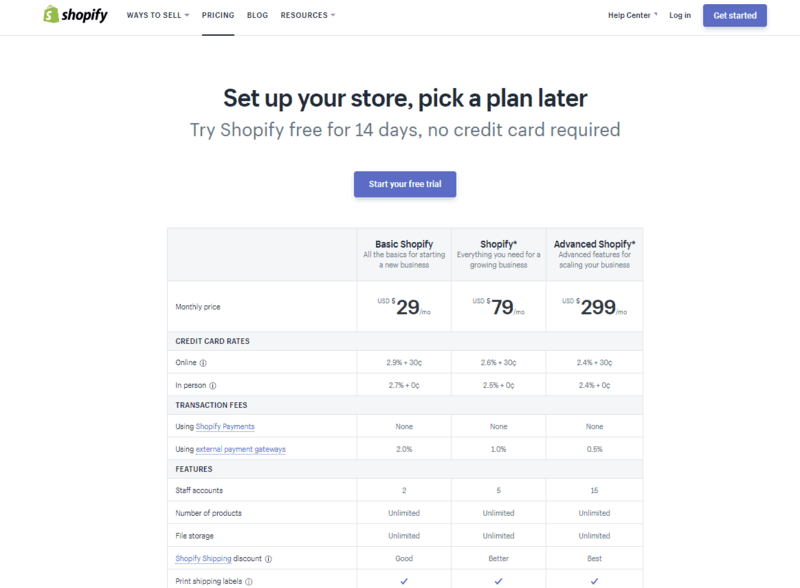 Shopify is probably the e-commerce builder with the lowest bar of entry and one of the most powerful platforms. 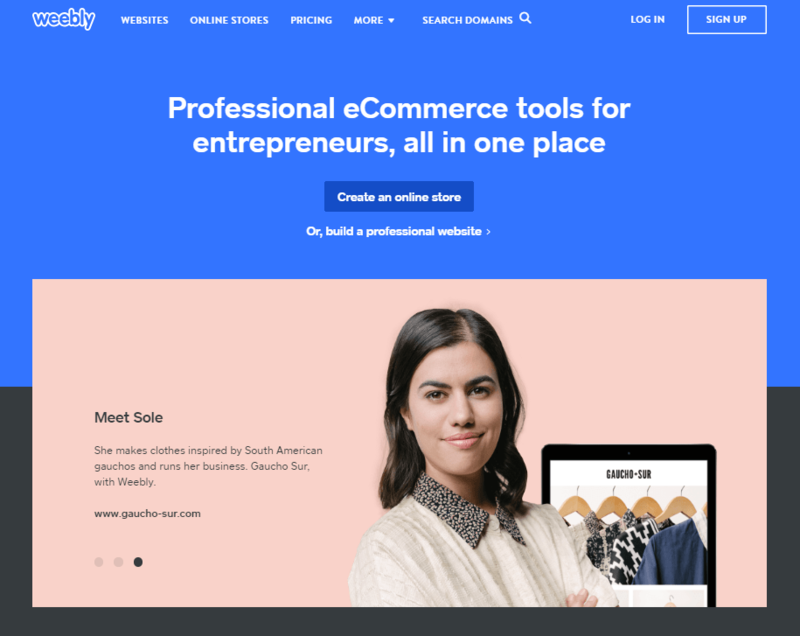 While you can add e-commerce features to other builders like Wix, Shopify is geared for those businesses that live online exclusively. You can build a library of products and utilize a highly-efficient payment portal that will ensure your customers are satisfied every step of the way. Your only hurdle will be bringing more traffic to your store, and Shopify helps you with that as well. Format is a website builder made for creative professionals and it shows. It’s very design-centric and great for photographers, artists, and more. Format is great if you need to put up a quick porfolio that looks beautiful. It’s not really meant for professional bloggers, full-scale businesses with complex needs, or ecommerce sites. It’s just a beautiful, straightforward portfolio platform built for creators. Formats pricing an plans are very affordable, starting at just $6 a month – definitely priced for budding artists and creators. 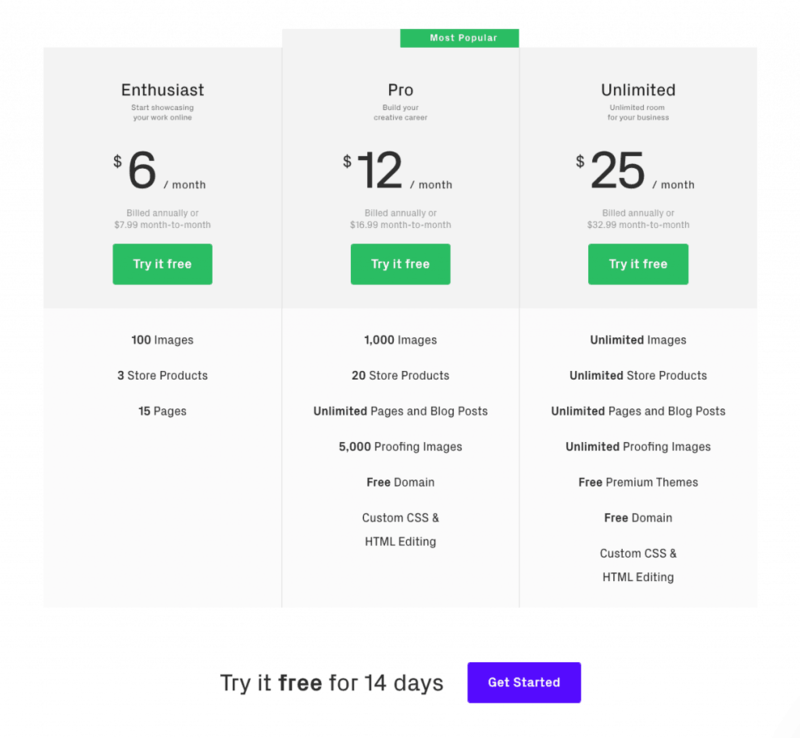 What’s interesting is that they price by the image – something most website builders don’t do – but it goes to show how centered on creators they are. For some companies, it’s not enough to look clean and professional. Instead, you want to stand out from the crowd. If that sounds like you, then Squarespace may be for you. Functionality-wise, this isn’t the easiest or most potent platform available, but it is one of the most beautiful and stunning. 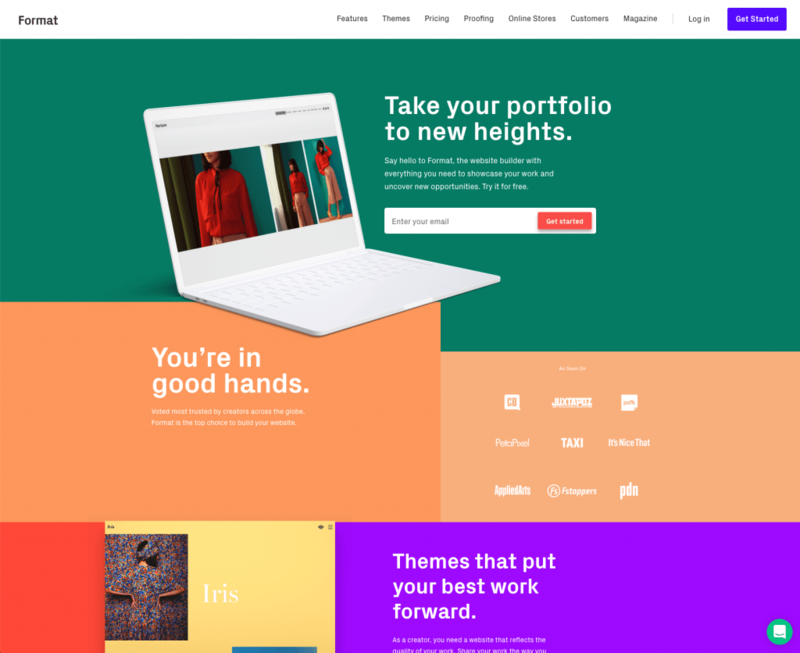 Squarespace is built for designers, which means that the images and templates available here are miles above anything you can find elsewhere. Overall, Squarespace is easy to use and offers quite a few features (including e-commerce), but it’s best if you don’t plan on getting a ton of traffic. The servers they use are not top-tier, but they are more than sufficient for most small businesses. Wix does have it’s fair share of detractors, but it can be great for a lot of people. Simply put, no matter what kind of business you’re running you can create a high-quality site with Wix. It’s a powerful builder that is both easy to use and fully customizable. You can also check it out with a free trial to get your feet wet and see how well it works before committing. Although you will have to go with a paid plan to get the full suite of features (as well as avoid ads on your pages), the prices are manageable. Here are the highlights of what you can expect from Wix. Vast Library – templates and images are abundant on Wix, enabling you to build the site of your dreams. The other great thing about Wix is that it’s perfect for both newbies and veterans alike. 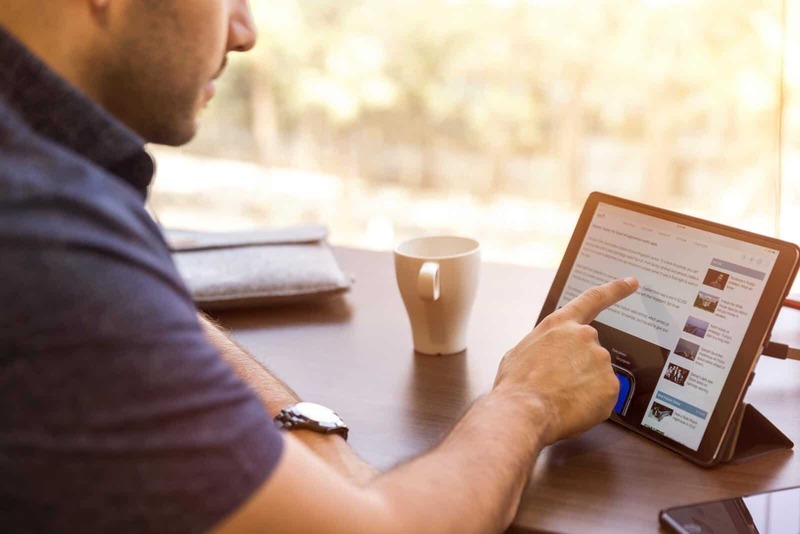 If you are familiar with technology, you can add more tools and functions to your site without having to switch to a more high-powered service. All skill levels can create stunning pages in no time. Our final website builder is made for those who are technologically illiterate. If the idea of doing anything more than sending an email seems daunting to you, then you may want to choose Weebly. Overall, this system is probably the easiest and most straightforward out of all of the builders on this list. A child could create a professional-looking site with minimal supervision, so there’s no reason you can’t as well. The other part of Weebly is that it’s also not built for high-traffic sites. If you run a storefront and you’re just looking to have a website for your customers to find you, then this is the perfect option. However, if you are looking to add more functionality, Weebly does have limited templates and features, so be aware of that. 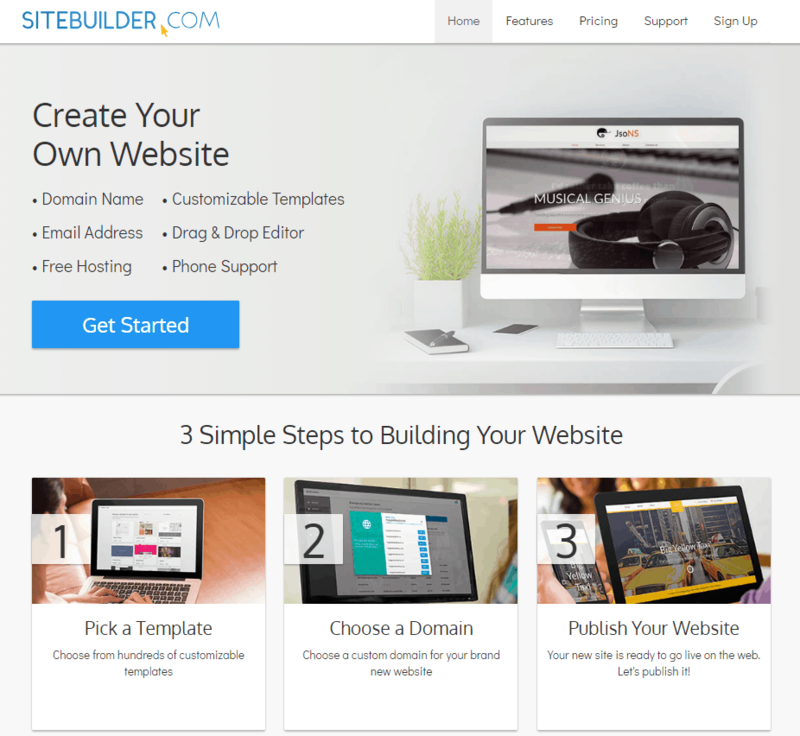 Like Wix, SiteBuilder is both simple to use and powerful. It’s also highly cost-effective, making it an ideal choice for many small businesses. What we like about this service is that it’s about as straightforward as possible. You pick a domain, choose a template, drag all of your different elements onto your pages, and you’re ready to go. While there aren’t as many features as Wix, SiteBuilder is pretty intuitive and simple to master. Also, you can buy your domain through the site, and it offers both e-commerce solutions and mobile optimization. Novi Builder is a new drag and drop HTML tool as a part of Novi Membership. Never heard of it? Neither did we. But it’s looking to be a pretty solid option to the drag and drop lineup. The best part? It’s got one of the lowest prices we’ve seen around. Pay once and you have a lifetime membership. Novi Builder includes a vast variety of free HTML templates, which is a really great advantage for those who build quite a lot of websites or just like changing the designs of their already-existing ones. Moreover, with Novi Builder building a website is not stressful at all anymore, I daresay that it’s rather fun. You can edit the content of your website easily, just drag the blocks and save some of your presets. Changing the visual part and the code has never been easier! 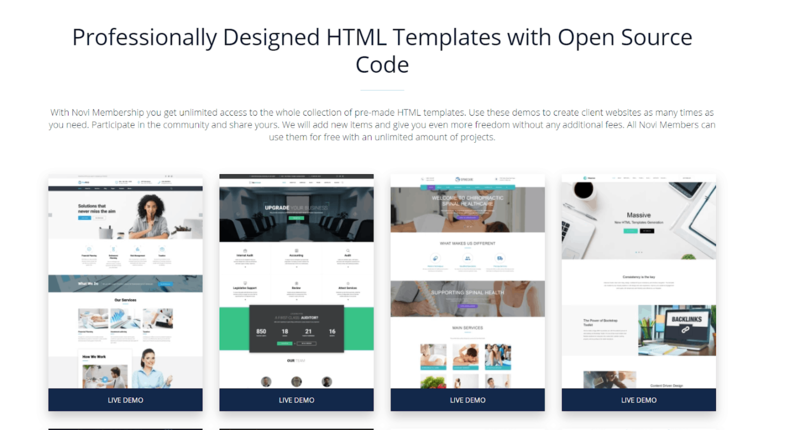 If you want a winning combo of pre-made designed HTML templates plus open source code, Novi Builder could be a great under-the-radar tool. So now let us see how your website built on the Novi Builder might look like. There’s Instagram, Facebook, YouTube, and Yelp that can put your business in front of some eyeballs. But really there’s no substitute for owning your platform – that’s what you website is for. Those other properties help you get distribution, but at the end of the day, they’re just rented platforms. There are businesses that can get away without a website, but with millennials and the generation before and after them being internet-first, the winners will have a site, and the losers will fade away. As a small business owner, you know that you have to have an online presence to stay competitive. Even if you operate exclusively in a physical storefront, a website is critical if you want to be able to market yourself effectively. 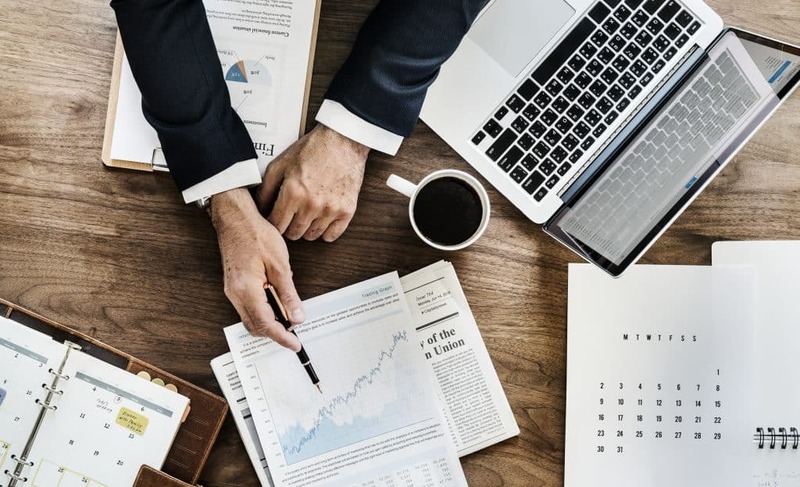 The issue that many entrepreneurs face is that while they have the drive and determination to make this happen, they don’t have all of the resources necessary to execute their goal. Building a site takes time and money, right? 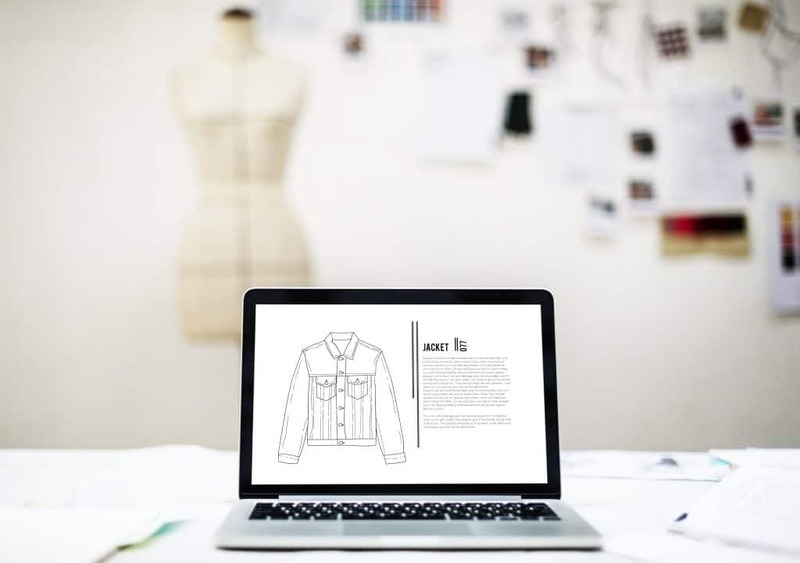 Well, if you use one of these five website builders, you can save on both and enable your small business to get ahead of the competition with sleek, professional pages. The best option for small business owners would be to find web hosts that have the easiest website builders to use. Read more to find the best website builders for small business. You have a lot on your plate, so building a new website from scratch can seem like an overwhelming task. Even if you know what you want, how can you get it up and running without spending weeks or months on it? Fortunately, the website builders we’re going to show you are geared for small business owners just like you. Even if you have only a few hours here and there to get your site online, that’s all you need to make it happen. 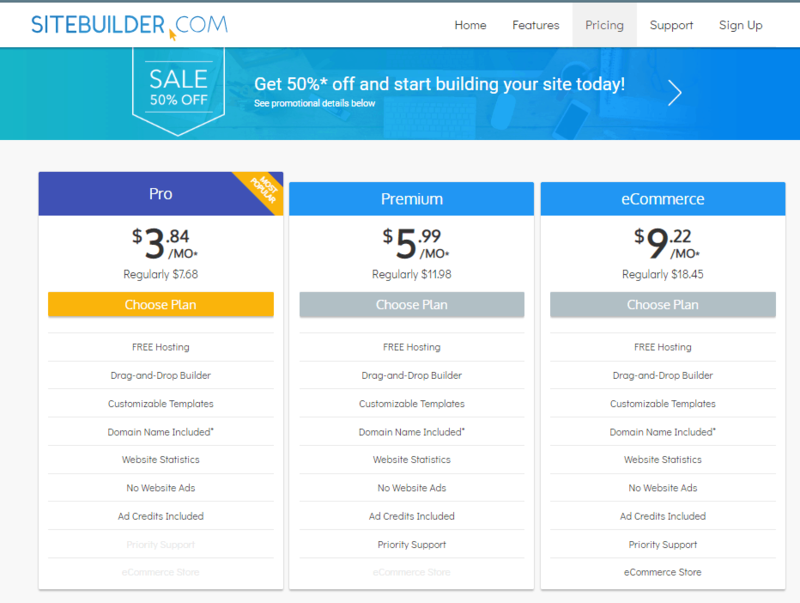 But how can you be sure that you’ve picked the best website builder for your needs? Here are some fundamental elements to consider when making your decision. First, Who are You Trying to Reach? Before we can get into the basics of building a site, you gotta understand what you’re trying to accomplish in the first place. Depending on your business model, some features are much more necessary than others. For example, if you’re an event planner, then you need a booking form so that clients can provide information about their event through the website. If you’re selling products online, then you need ecommerce features. Both of these elements are crucial, but not every business needs them. So, to make sure that you’re getting ideal results, you want to ask what kind of customers you’re trying to attract, and what kind of experience you want to provide. So, with that in mind, see which of these site components are most critical to your success. Overall, you want to avoid any builder that requires anything like coding or programming to get the features you need. You don’t have the time or the experience to build items from scratch, so don’t waste time on those kinds of services. When it comes to user-friendliness, you want to be sure that you can test your site before it goes live and that everything works the way it’s supposed to. Buttons, links, and other options (like videos) are all operating correctly. Since you’re not an expert at creating a website, you will likely have a lot of questions when you get started. Thus, you want to pick a builder that will provide all of the support you need whenever you need it. For example, if you only have time to build your site in the middle of the night, you want to be able to contact a technician through live chat to figure out any issues you may encounter. If you have to wait a few days for a response, the whole process can be much more laborious and intensive. These days, everyone has a social media account (or five). To stay competitive, you have to have a presence on these platforms as well. While you don’t have to manage a ton of social media accounts, you should try and keep up to date with the top three (Facebook, Twitter, Instagram). When choosing a website builder, you want to be sure that you can integrate your social media profiles so that people who visit your site can see your social accounts and vice versa. The more connected they are, the easier it is to engage with your customers. Also, see if you can manage your social accounts through the website as well. That way you don’t have to log into multiple services, and you can upload posts to all platforms at the same time. 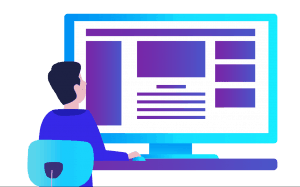 Chances are that you’re not a graphic designer, which means that you can’t create all of the different visual elements of your site from scratch. While you could pay someone to do this for you, it’s better to choose a website builder that offers a wide array of images and templates for you. By leveraging pre-made pictures and layouts, you can save time and money while also ensuring that your site is both professional and free of legal problems. For example, if you download pictures from the internet, they may be licensed and copyrighted, which could become a huge issue for you down the road. The elephant in the room – WordPress. Yes, WordPress is extremely popular. No, it’s not free by any means. Look, we use WordPress for this site and many others. It can be the right fit for you. But if you’re building the site on your own, WordPress can be a nightmare. WordPress is not free – unless you’re a developer. If you’re a small business with $5 to spend monthly and you have 100+ hours to learn how to create a WordPress site, then go for it. But it should not be the default. 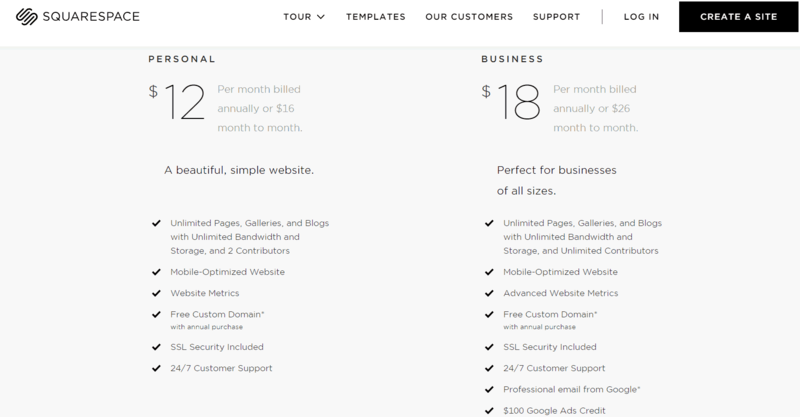 You really want a subscription plan to a website builder like one of the above that has built-in support and hosting. You don’t want to deal with that. For medium sized businesses with lots of cash and very custom needs, sure go with WordPress. For a up and coming small business, go with one of the above. Please.